Richard Olney (September 15, 1835 – April 8, 1917) was an American statesman. He served as both United States Attorney General and Secretary of State under President Grover Cleveland. As attorney general, Olney used injunctions against striking workers in the Pullman strike, setting a precedent, and advised the use of federal troops, when legal means failed to control the strikers. As secretary of state, he raised the status of America in the world by elevating U.S. diplomatic posts to the status of embassy. Olney was born into a family of means in Oxford, Massachusetts. His father was Wilson Olney, a textiles manufacturer and banker. Shortly after his birth, the family moved to Louisville, Kentucky, until Olney was seven. The family then moved back to Oxford and Olney attended school at the Leicester Academy in Leicester. After completing his education there, he went to Brown University, where he graduated with high honors as class orator in 1856. He then attended Harvard Law School, where he received a bachelor of laws degree in 1858. In 1859, he passed the bar and began practicing law in Boston, attaining a reputation as an authority on probate, trust and corporate law. In 1861, Olney married Agnes Park Thomas of Boston, Massachusetts. He was a member of the Board of Selectmen of West Roxbury, Massachusetts and served one term in the Massachusetts House of Representatives in 1874. He declined to run again, preferring to return to his law practice In 1876, Olney inherited his father-in-law's Boston law practice and became involved in the business affairs of Boston’s elite families. 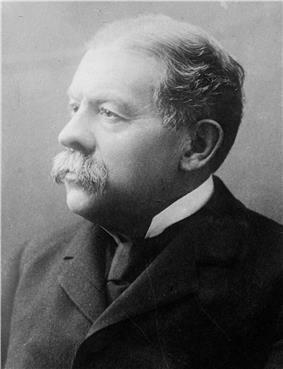 During the 1880s, Olney became one of the city’s leading railroad attorneys and the general counsel for Chicago, Milwaukee and St. Paul Railway. In March 1893, Olney became U.S. Attorney General and used the law to thwart strikes, which he considered an illegitimate tactic contrary to law. His critics said he was over-sympathetic to business interests, citing examples such as this: He was asked by a former railroad employer if he could do something to get rid of the newly formed Interstate Commerce Commission. He replied, "The Commission… is, or can be made, of great use to the railroads. It satisfies the popular clamor for a government supervision of the railroads, at the same time that that supervision is almost entirely nominal. Further, the older such a commission gets to be, the more inclined it will be found to take the business and railroad view of things.… The part of wisdom is not to destroy the Commission, but to utilize it." During the 1894 Pullman strike, Olney instructed the district attorneys to secure from the Federal Courts writs of injunction against striking railroad employees, setting a precedent for "government by injunction". He ordered the Chicago district attorney to convene a grand jury to find cause to indict Eugene Debs and other labor leaders and sent federal marshals to protect rail traffic, ordering 150 marshalls deputized in Helena, Montana alone. When the legal measures failed, he advised President Cleveland to send Federal troops to Chicago to quell the strike, over the objections of the governor of Illinois. Olney argued that the government must prevent interference with its mails and with the general railway transportation between the states. Upon the death of Secretary of State Walter Q. Gresham, Cleveland named Olney as his successor on June 10, 1895. He quickly elevated U.S. foreign diplomatic posts to the title of embassy, thus making it official that the U.S. would be regarded as an equal of the world's greater nations. (Until that time, the United States had had only Legations, which diplomatic protocol dictated be treated as inferior to embassies.) He became specially prominent in the controversy with United Kingdom concerning the boundary dispute between the British and Venezuelan governments, and in his correspondence with Lord Salisbury gave the Olney interpretation, an extended interpretation of the Monroe Doctrine which went considerably beyond previous statements on the subject. Olney returned to the practice of the law in 1897, at the expiration of Cleveland's term. In March 1913, Olney turned down President Wilson's offer to be the US Ambassador to Great Britain, and later, in May 1914, when President Wilson offered Olney the Appointment as Governor of the Federal Reserve Board, he declined that appointment. Olney was unwilling to take on new responsibilities at his advanced age. Olney received the honorary degree of LL.D from Harvard and Brown in 1893 and from Yale University in 1901. Despite these accolades, but on the personal side, author H.W. Brands in Bound to Empire, The United States and the Philippines, wrote of Olney "having responded to a daughter's indiscretion by banishing her from his home, never to see her again, although they lived in the same city for thirty years." (p. 18). Olney was the uncle of Massachusetts Congressman Richard Olney II.